Rocket Matter Knowledge Base Insurance Defense Package - LEDES Billing- NEW!How to assign Timekeeper ID's to a user. 1. 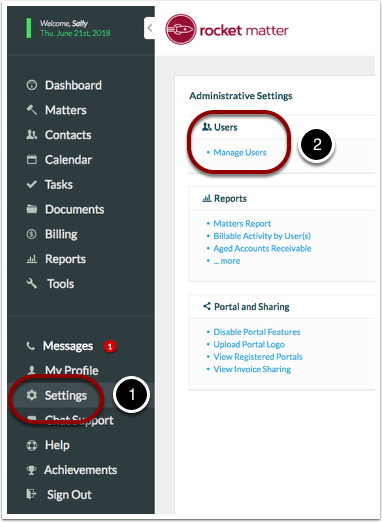 Navigate to 'Settings' to assign timekeeper codes for all users. 3. Select the user you'd like to assign the timekeeper ID for. 5. Once entered, scroll down to the bottom of the page and click 'Ok' to save your changes. Prev: How to configure LEDES Invoice Field Mapping for a specific client. 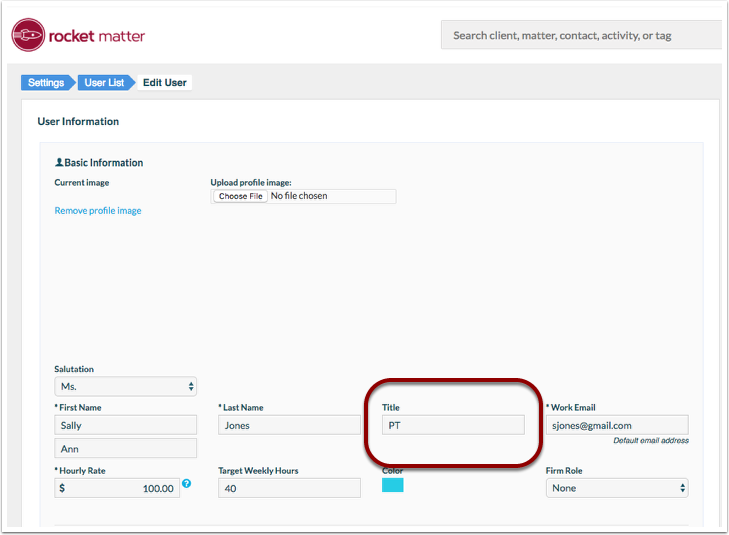 Next: How to create a custom matter field for all matters to identify clients billing with LEDES.